Hello to all my lovely cuddly readers. I thought that I would wish you all a very Happy and Prosperous New Year and let you know that I am still skiing in the Bohemian Mountains, enjoying lots of rest, comfort and everything else that a very hard working and successful Cat should. As I am on holiday I think that my blogs will be a little short for a few more days but I am sure that you understand because you are all so kind. 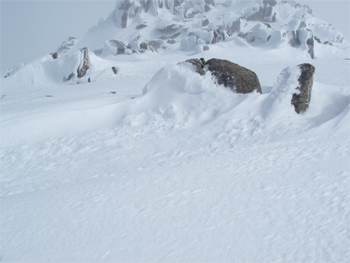 I thought that you might like to see a picture of me in the snow, but as I posted it up I suddenly realised that I can’t actually see me, I must have slipped out of the picture or behind a rock while Ginger was saying “back, back, left, left, no left a bit more and back.” You wait until I see him this morning! I am so pleased for everyone who got an eBook reader for Christmas, aren’t they great? Yes of course they are! They can hold hundreds of books and they, in the main, are easy to use. Here are some essential links to Amazon.com that will take you to both Getting Out Excerpts From A Cat’s Diary or here Amazon’s page for The Cat’s Travelogue all you have to do is to click the blue line or lines of your choice. Just so you know what you are looking for here are some pretty pictures of the covers. May I suggest that once you have read my ebooks you order a copy of each book in paper form for your bookcase, they too look wonderful on any bookcase shelf because they have pictures of me on the covers and spines. Don’t forget that those nice people at Amazon.com and also my www.wickedlywonderfulwebsite don’t stop for Christmas or the New Year and so if you want to fill your brand new shiny eReader, whatever the make, you can do it right now, and of course if you do then you will make a little Cat very happy indeed! The lads and possibly lasses (in this politically correct world we live in) of the Oldham road sign erection crew have struck again, but this time you have to go to Leeds to see this marvellous example of the sort of careful workmanship and workwomanship (in this politically correct world we live in). 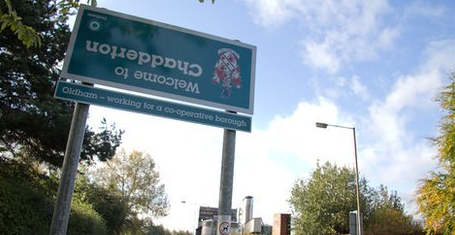 If you don’t remember the fine example of Oldham’s road sign erection crew’s work from my previous blog here is an example as published by the Cat who writes Blogs i.e. me just before my birthday on November 14th. Of course if you missed my birthday you will be pleased to hear that I have no problem with presents, cards and cash arriving late, in fact I have said on any number of occasions that I am just like a politician in this respect – open to ‘presents’ at any time during the year! 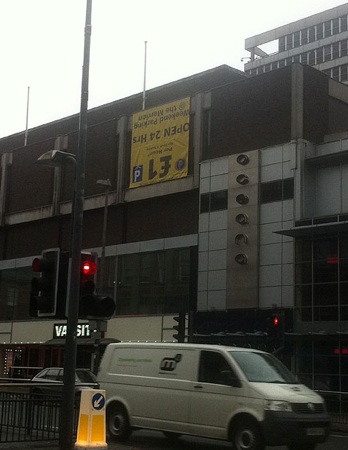 Of course if you don’t remember when Oldham’s sign erection crew last struck just click here, aren’t they clever? Don’t forget that the holidays are upon us, Thanksgiving in just a day or so away and Christmas as usual is lurking around the corner which means that you may well be stumped for what to get the children, the Dog, the family and all of the others that you have to buy presents for, my advice is don’t panic just go to either my www-wickedly wonderful website www.thecatsdiary.com or indeed good old Amazon.com and order dozens of copies of my books. May I helpfully suggest that for people you really like you give both of my books to and for people you aren’t so keen on just the one! Here are a few useful links to save you time and cut out the hours of concentrated thought that you would normally devote to choosing the right present for everyone. You humans are an odd bunch and with your mad actions sometimes get us animals into a lot of trouble, my subject to illustrate this is what you humans do and indeed don’t do when feeding Horses. It’s a little known fact that’s only common knowledge in the equine community that horses really like Polos Mints which are small round mint flavoured boiled sweets with a hole in them but sadly very few people feed Horses Polos, instead they give them handfuls of grass, carrots and anything else they have to hand and that includes fingers. 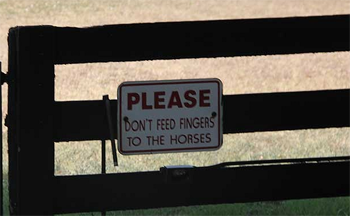 When a human gives a Horse a finger or two to eat it isn’t always clear to the Horse or indeed the investigating authorities that the human intended the Horse to have a finger buffet. In fact some humans after feeding a finger or two to an innocent Horse and become really rather too irate about the whole matter and like their fingers the matter can get out of hand if you see what I mean! 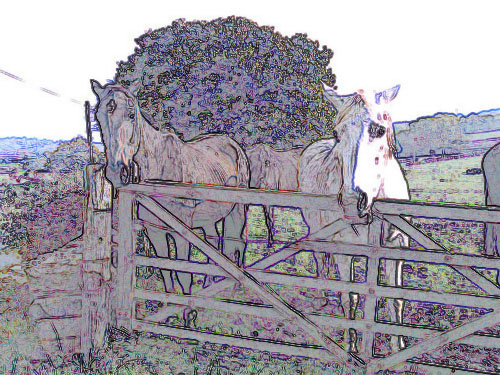 There is some good news for humans who want to feed the odd Horse who they see standing alone in a field looking rather forlorn. Horses love treats and there is no real reason why you shouldn’t give them one but it has to be stressed do please only give a Horse one treat because Horses can unfortunately be described as greedy and will literarily eat themselves sick and if you can find out if the Horse can eat what you want to feed it. 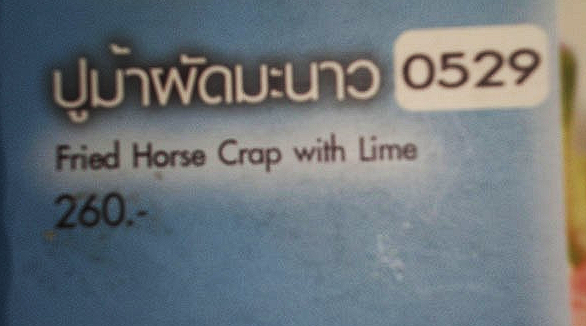 In general when you give a Horse a treat it can be almost anything fruity or veggie, Oranges, Carrots, Apples or even a Banana but never ever give a Horse the tops (green bits) of Carrots or the peel from a Banana. In addition do ensure that you cut up what you feed a Horse into small cubes because Horses can have digestion problems and as I mentioned above it’s always best, if possible, ask the Horses owner what the Horse likes to eat and more importantly what the Horse can eat. Asking the Horse’s owner will ensure that you feed the Horse what he or she can eat a lot of Horse can develop nasty diseases such as Colic which can be a dangerous, even life threatening, illness for Horses. When you want to feed a Horse or give them a treat the best way to do this is to hold the treat out to the Horse in the palm of your hand, making sure that your fingers are completely extended and your hand is as flat as you possibly can make it. Lastly don’t go into the fields with a handful, armful, or bucketful of treats, thinking the Horses on the other side of the field won’t notice. Because before you realise it, you will be in the middle of a number of Horses all competing rather too boisterously for treats, unfortunately hungry Horses can get a little pushy and as they are almost always ten times bigger and heavier than the average human, humans tend to get hurt by ‘enthusiastic’ Horses. 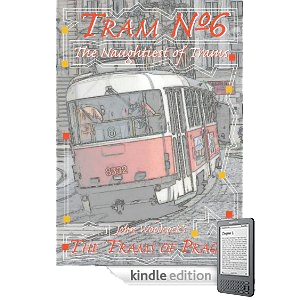 You can purchase an ebook of this excellent beautifully illustrated book here at www.amazon.com Trams of Prague ebook for use on Kindle Fire, iPod Touch, iPad and all other great colour eReaders. Or of course you can get it on my www.wickedlywonderfulwebsite the www.thecatsdiary.com. It will make a great Christmas stocking filler. And the good news is that a picture book edition will be available next year. In addition to a complete lack of expertise in making any kind of manufactured goods for the West that last, stealing islands in the South China Sea and interfering under Tibet’s skirts China is a place where there is not a great regard for humankind let alone animals, cough, such as myself, who can without any great effort find ourselves being accused of being a stray (which is such and insult in the Cat culture) rounded up and placed on a Shanghai dinner menu. 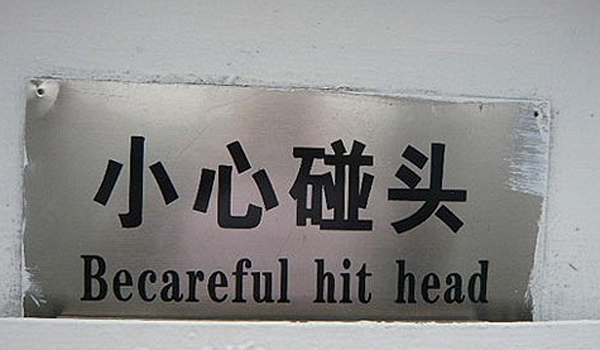 All of which means that when you see signs like the one below you do hope that they are followed to the letter by the hamfisted Dog and Cat eaters behind the Great Wall of China. You know it’s amazing what you see when you are travelling the world researching a book. But all I can say is after spending nearly two, paw weary years, globetrotting that I am glad it’s over and you my dear cuddly readers can read ‘The Cat’s Travelogue’ I am confident that it will bring more than a smile to your lips and like my other wonderful unputdownable book ‘Getting Out Excerpts from a Cat’s Diary’ you will want to read it again and again. Don’t forget as you are dusting off last year’s Holly and trying to glue back together the kids favourite Christmas decorations; to say nothing about trying to get the tree lights to work, that my books make excellent Christmas presents for all ages and while you are ordering your copies do make sure you get one for your good self, you have earned a bit of time curled up in a chair with an extremely good book like either of mine! Just for you dear reader I have added some very useful links for you to click that will take you to my books on www.amazon.com or indeed my own www.wickedlywonderfulwebsite Travelogue Website or the normal one here www.thecatsdiary.com or my amazing virtual retail establish here my store at www.thecatsdiary.com. You can get paperback or ebook copies of my first book ‘Getting Out Excerpts from a Cat’s Diary’ here Amazon.com and my amazing second book ‘The Cat’s Travelogue’ either here The Cat’s Travelogue Paperback Edition or here The Cat’s Travelogue ebook depending upon whether you want an ebook of a paperback version duh! Silly cat you know that sorry! Lastly and for those who might be er… how can I put this, a little hard of understanding, here are some pretty pictures of my books and lots of devices that you can read them on if you choose to buy my ebooks! If you choose to invest in the paperback editions of my wonderful books then I suggest you read them on your lap curled up in a nice armchair! If you need any or all of these items in addition to dozens of copies my books then click away below to your hearts content they all come from www.amazon.com where you know you can shop safely and securely to say nothing about good old Amazon ensuring that anything you order arrives on time. It almost goes without saying but this clever Cat who writes books and who writes blogs for your amusement and delight does receive a very small ‘consideration’ from www.amazon.com if you buy any of the items below using the link or links. Well we all need to scrape a together living don’t we? So if you are going to buy a KindleFire, and iPad, iPod or iPhone to read any of my books on then it wouldn’t do any harm to click the link anyway below would it? Mmh sorry this was such a long blog especially for those of you with a short attention span but let’s face it this is an important time for Cats in the publishing industry, we make most of our cash at Christmas time and that is why I have to use every trick in the book to get you dear cuddly reader to part with yours. You know it isn’t easy either, because there is a fine line between marketing and whining and then there apparently is the line that I have never paid too much attention to, the line beyond which marketing is considered bullying! Just remember dear cuddly reader, if you can, that I’m merely a simple Cat and if I do seem to over sell my books it’s because I don’t know any better tee hee! Sorry if any clever human knows how to get the above links to sit together and could let a confused Cat know the aforementioned cat would be very grateful because it beats the Whiskas® out of me! And Cat food all over the floor is not at all nice, especially when it is Salmon and Sardine flavour! While having my breakfast of tasty Prawns with a side of Prawns and a bag of Prawns to go sitting next to me on the diner table I was reading the newspaper. I rarely read newspapers because I believe that if you want to ruin your day read a newspaper at breakfast and if you want to ruin your life become famous, like me, and have News International eavesdrop on your every phone call, read your mail, hack your computer and sift your trash while trying to gather dirt on you. So far that have failed thanks to my satellite phone a little tip I learned from someone I was talking to in the CIA several years ago. I have to say here that when I was talking to this lady from the CIA I thought that ‘CIA’ was an abbreviation for China International Airways and to be honest I didn’t discover what the letters really CIA stood for until I climbed aboard what I thought was a small China International Airways jet at an airport in Pakistan while researching my latest unputdownable book ‘The Cat’s Travelogue’ (available here The Cat’s Travelogue Paperback Edition and if you want an ebook here The Cat’s Travelogue ebook boy was I in for a surprise I can tell you, and if you read my latest work of feline literary genius you will know exactly what I am talking about here! So is that what humans have come to? They have hunted animals to extinction destroyed their habitat to grow beef for McDonalds then a few decades ago seen the light and started to conserve species instead of running rough shod over them and now they have decided, because trying to protect animals is too much like hard work, to choose one species over another because they can’t cope with their own destructiveness which so drastically affects all of the other animals and creepy crawlies who share the planet Earth. 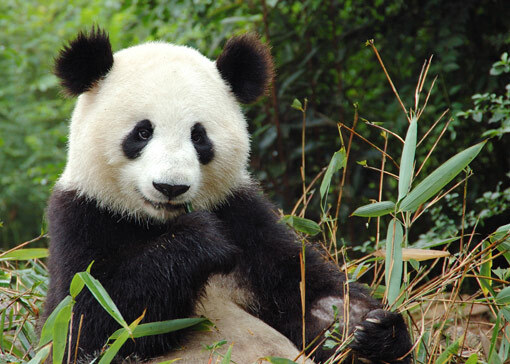 Well all I have to say is shame on you humans for taking so much of the Earth’s resources and leaving so little for wildlife, shame on you conversationalists and in particular shame on the charity the World Wildlife Fund for taking so much money and pretending to give a damn about animals and obviously failing so miserably. 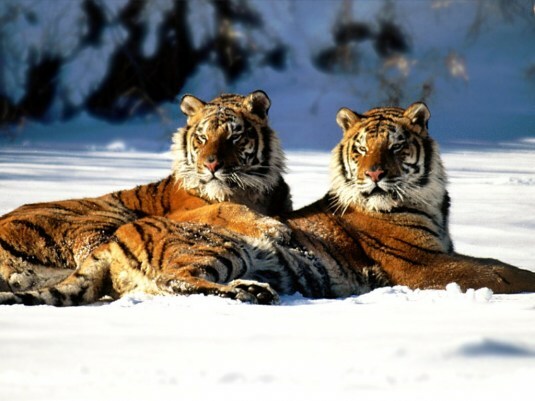 I would also like to say that if there has to be a choice between Pandas and Tigers we should save Tigers they are not only better looking, they are also more interesting, more active, distant cousins of mine and better still if their numbers were to grow significantly they might just start getting their own back and start eating humans! At least there is one positive to come out of this article and that’s that you can stop giving your hard earned folding stuff to the WWF! As I have said time and again all charities are absolutely useless and this article proves that, if you ever doubted my word, instead you can of course send all of your spare cash to this Cat and make his life amazingly comfortable, unlike a charity I will spend you money wisely and choose only the finest Prawns, the best cars, hotels and employ only the most qualified staff to attend to my every need, which are many and various. I do hope that people start to see how dreadful charities are now in the light of what these conversationalists are proposing. I was telling people 15 years ago just how greedy and corrupt banks were and now they are seeing it, let’s hope it doesn’t take the same length of time for the public to see just how much alike charities and banks are, they only care about themselves and nothing else even the things they are set up to protect, help, nurture or whatever else they waffle on about as they hold their hands out for you cash. A lot of people apparently have not been able to find the section of my website that has random sneak peeks of my latest book The Cat’s Travelogue in “good old” some say (I don’t) www.google.com so here is a link that will take you there immediately Travelogue Website. There I am happy to announce that at least that is one missing Cat’s website found! When you click that you’ll be able to read a synopsis of the book and just as you can with my other book ‘Getting Out – Excerpts from a Cat’s Diary’ you will be able to read a page of my latest feline masterpiece ‘The Cat’s Travelogue’ and get to see what others have thought about it, mind you there aren’t many reviews there at the moment because I imagine that people are only half way through my wonderful book because it is that new. You can order copies of my books at my www.wickedlywonderfulwebsite store of course here www.thecatsdiary.com or from the ever reliable www.amazon.com here The Cat’s Travelogue Paperback Edition for the paperback or here for the ebook edition The Cat’s Travelogue ebook. Or if you want to have a good look at other eReading machines you can simply click here Computers which will take you to www.amazon.com’s computer department. There you will find a good few eReaders, I understand that a company that grows great pie fruit does a nifty reader that can also be used as some sort of pad, though what sort of pad it is I haven’t managed to fathom out yet because you can’t wrap it around a leg, it’s way too thin to use as a pillow and not quite big enough to curl up on and when I tried I slipped off the shiny glass screen, but for all of that I understand the iPad is a popular gadget so don’t rule it out just because it isn’t cuddly or unable to stop bleeding like most pads. Then there are several copies of the iPad which are all called tablets but they are even odder than the iPad because you definitely can’t take two of these with water three times as day. Here Is Some Great News! My dear cuddly readers will be pleased to hear that to celebrate the launch of the latest Amazon reader ethingy the Kindle Fire those ever so nice people at Amazon have released the ‘Kindle’ and other ebook versions of my latest and most wonderful book ‘The Cat’s Travelogue’ early which is nice. I just have to say that you will be pleased to hear that ‘The Cat’s Travelogue’ is coincidentally the best book I have written since my last one. Not just to be content with getting a big head start on selling my ebook the paperback department of Amazon demanded equal rights to the ebook department and guess what you can buy either or indeed both formats on Amazon now, they have just told me I checked and it’s true – isn’t that wonderful. So that means that if you want a copy of my latest book you can order it now and have it instantly, if you want the eVersion or, in a couple of days max if you want the paper one. And the good news is that you will beat those who have ordered it at book stores by at least a couple of weeks. So for all of my wonderfully faithful, patient and cuddly readers here are the important web addresses to click on, and don’t forget you will make me very happy if you buy one book, delightfully happy if you buy two and delirious happy if you buy more than five. Of course it might go without saying, but I am going to say it anyway and I have a feeling I have said this before, you can instantly get a copy of my latest book ‘The Cat’s Travelogue’ from my www-wickedly wonderful website www.thecatsdiary.com or at the store on my www – wickedly wonderful website here my store at www.thecatsdiary.com. To make life easy for you I have added the links you are going to need to get my book from good old (some say) Amazon.com do go for The Cat’s Travelogue on Amazon.com or Amazon UK. If you need a Kindle to read my truly wonderful latest book on then get a Kindle Fire here they are really rather good as well as being competitively priced I hear. If you want a good old iPad2 then I have another place for you to click – Computers aren’t you lucky? This link will take you straight to Amazon.coms Computers store for great prices, fast delivery and the same service you get when ordering my book. You never know they might even arrive in the same parcel that would be neat wouldn’t it? Now while I am very happy with the cover in general I am not too happy with one element, can anyone guess what it is? If you can there is a free ebook in it for you, if you can’t then after failing to change the cover at a last minute summit meeting with the publishers I added my comments about the bit of the cover I dislike to the new book so the week before last so you will be able to read the book and tell me what it is that I dislike. The closing date for the competition has to be Sunday (tomorrow) sadly because my wonderful book ‘The Cat’s Travelogue’ will be available on Amazon.com by then and in bookstores soon afterwards but a little bird told me that you can buy the ebook version of my unputdownable book ‘The Cat’s Travelogue’ right now, in fact I think I am sitting on the link here. All of which means that if you buy an ebook now you stand a great chance of winning my amazing competition and still can buy a paper version at a later date. 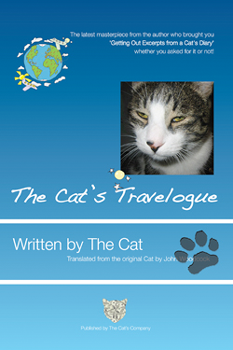 If you can’t live without my new book ‘The Cat’s Travelogue’ and I can’t blame you for that and want the ebook early then use this link, if you just want to cheat on the competition above then I understand just go for Kindle Edition of The Cat’s Travelogue on Amazon.com or Amazon UK. There I am such a nice Cat not only letting you cheat in my competition but most importantly enabling you to have instant access to my wonderful ebook ‘The Cat’s Travelogue’ in advance of everybody, yes that is the sort of Cat I am and just how much I love my cuddly readers and Cat fans. 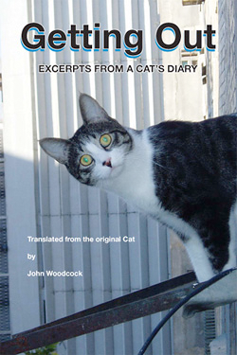 Of course it might go without saying, but I am going to say it anyway, you can instantly get a copy of my latest book ‘The Cat’s Travelogue’ from my www-wickedly wonderful website www.thecatsdiary.com or at the my store on my www – wickedly wonderful website.